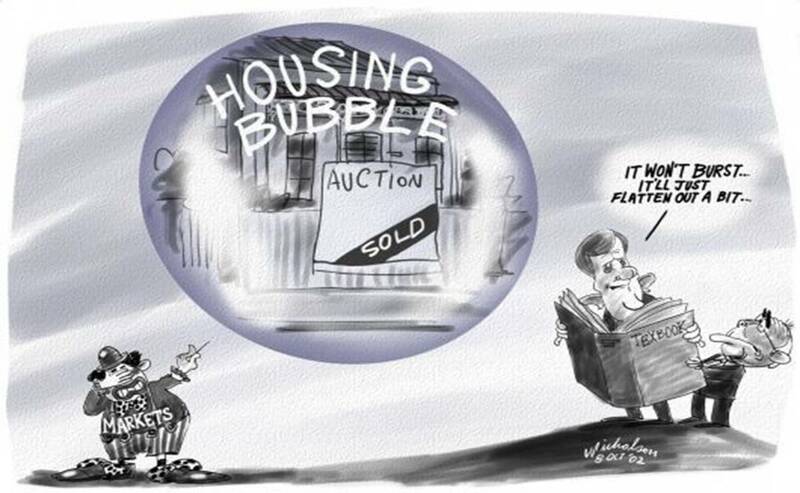 The current economic crisis in Ireland, though deeply rooted in Ireland’s role as a dependent economy in the European periphery, is primarily a crisis caused by the property bubble and subsequent crash. The Irish mass media, most notably the press, played an important role in the lead up to the crisis both as cheerleaders and beneficiaries of the property bubble. All major Irish newspapers include lucrative property supplements, and both the Irish Times and Independent News and Media made substantial investments in property listing websites. Unsuprisingly, the mass media and especially the press were uncritical of the hyperinflation of housing cost. In fact in the journalistic frame of housing as a speculative commodity (rather than social nessesity) price inflation was reported as a positive. Irish Journalism, blinded by market ideology, against all historical evidence, seemed convinced that the market would slowly deflate into the much vanted ‘soft landing’. There is a growing symbiotic relationship between business, communication networks and the mass media. Business depends on communication networks and the mass media in numerous ways; in the actual conduct of business, in the need for market information, for advertising and market creation, and as ideological apparatii which act to naturalise market economies and defend class interests. In fact it is argued that the contemporary mass media rather than simply reporting on economic issues have become an integral part of economic processes (Chakravartty, Schiller 2010). Moreover mass media companies are increasingly multi-national businesses with vested interests within the various markets and societies they report on. This research explores the role of the mass media and communication networks in the crisis of overproduction and specifically the Irish economic crisis. The Irish crisis has deep roots in the country’s semi-peripheral dependent nature and its weak domestic economy, however, the current crisis is fundamentally a crisis of overproduction in property driven by speculation and encouraged by an approving media and pro cyclical government policy. “Few will dispute that “the Irish media for the last 10-15 years have had a crucial economic stake in a rising property market.” It is no secret for instance that in July 2006 the Irish Times bought the property website MyHome.ie for EUR50 million or that three months earlier Independent News & Media acquired PropertyNews.com…”. Ok! Sounds like 2012 is a good time to buy! Ok! sounds like 2005 was ALSO a good time to buy! “Well, at the risk of oversimplifying, the worst appears to be over, provided the Government delivers another responsible and tough budget next December. Affordability [in the housing market] has been significantly enhanced by the low interest rate environment and falling prices. Our own affordability index shows that many first-time buyers are now paying 50 per cent less of their net income on their new home than they would have done at the height of the market. Furthermore, in key urban areas, supply is tightening. Listed second-hand stock for sale in Dublin has fallen by more than 60 per cent from its peak in the first half of 2007. In my view the market is bottoming out. This is not to suggest a remarkable recovery, rather a stabilisation and a return to a property market serving society, rather than society serving the property market. The indications to this effect outlined above are augmented by anecdotal evidence on the ground. Ok! Sounds like 2010 was ALSO a good time to buy! It being the year when the worst was finally over and all that. All these good times, and no-one left to buy. An interesting take on free speech from the Sunday Independent as pointed out on one of CMR’s favourite blogs. Fewer stories than normal on the Sindo website today. Thankfully. And a shorter stupid statement is the result. Anne Harris fears for the future of the freedom of the press. The threat, however, does not come from overbearing government but from the internet. Yes, freedom of speech is under threat from the great arbiter of freedom, the internet. And it all boils down to commercial realities. It was the great Joseph Pulitzer who pointed out that commercial success is the best guarantee of freedom of speech. Circulation drives advertising, he pointed out. Advertising drives revenue (profit) and revenue guarantees freedom. Freedom from all vested interest groups — celebrities, judges, the establishment. 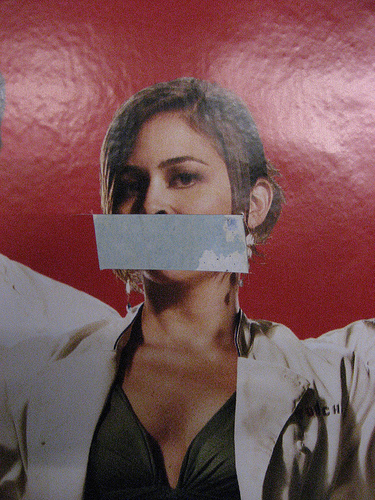 And even — ironically — freedom from the pressure of advertisers. I think she’s mistaking free speech for profit. The BBC are re-broadcasting the ‘Billy Plays’ by Graham Reed and starring Kenneth Branagh, 30 years after their first network broadcast. The triology focuses on the story of the conflict between a father and son set during the troubles in Belfast. Prof. Helena Sheehan of DCU has kindly given critical media review permission to post an excerpt from her book Irish Television Drama: A Society and Its Stories (Dublin 1987) on the trilogy. Richard McAleavey on the Irish Times series ‘the squeezed middle’; the series concentrates on the effects of the crises on Ireland’s ‘middle’ class. Richard’s excellent critique concentrates on the ideological assumptions and politics underlying the articles. CMR can’t help but wonder if this series is an example how for the Irish Times it is acceptable for the poor or working class to suffer in a recession; but that it is not acceptable that the the mythical ‘middle class’ should suffer. 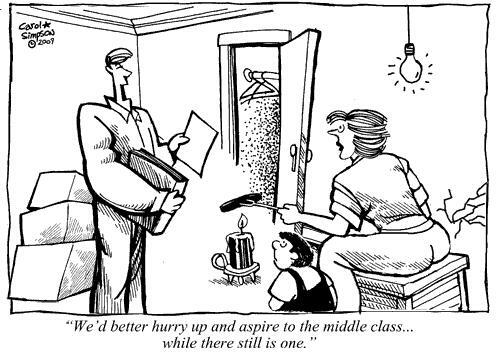 The middle class as articulated by the Irish Times (by ‘normal’ Irish petite bourgeois standards) should be happily insulated from government cutbacks by private education and health systems and speculative property portfolios. The truth of the matter of course is very different (and quite shocking to the morals of the Irish Times opinion pages) as more and more of the so called ‘middle’ class are finding out for themselves that the title ‘middle class’ is little more than a cheap re-branding of their true class status. 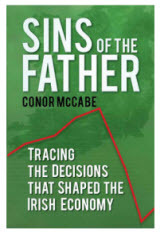 “The function of the Irish Times, along with that of other Irish newspapers, is to present a political programme, the imposition of mass unemployment and the destruction of the welfare state, which is being conducted in the interests of the wealthiest groups in Irish society, as a moral imperative, divinely ordained. Critical Media Review’s second entry is fitting in this age of neo-liberal austerity. Sheamus Sweeney of Dublin City University reviews the biopic of that great warrior of neo-liberalism Margaret Thatcher. 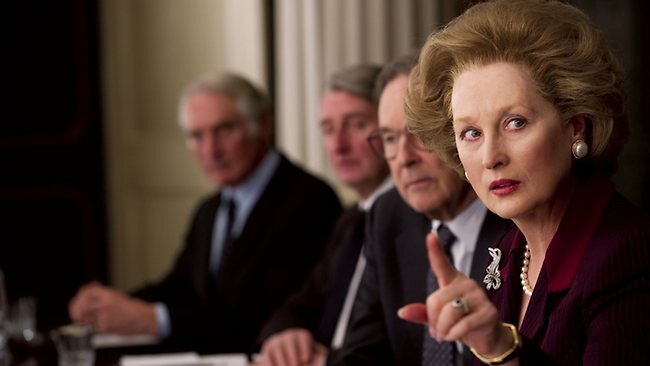 In ‘The Iron Lady’ the reviewer finds a film decontextualised of both politics and outcome and a recasting of Thatcher as a plain ‘grocers daughter’ and a feminist struggling in a man’s world. The first entry to Critical Media Review is somewhat fitting, in that the very idea for this blog was first discussed on a facebook page. The entry links to an article in the latest issue of the journal ‘triple C’, entitled ‘Facebook as a Digital Public Sphere: Processes of Coloniszation and Emancipation’ by Bjarki Valtysson. The article discusses facebook in terms of Habermas’ public sphere as a process both of colonisation and a potential tool of emancipation. Colonisation as the private thoughts and lives of facebook users are constantly commoditised and sold onto third parties, and at the same time as a potential ‘emancipative media environment’ for rational critical debate.